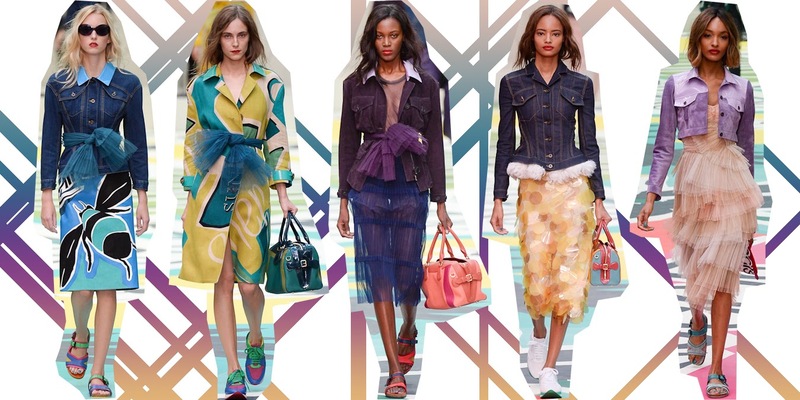 Just a few of my personal favourite looks from the Burberry Prorsum Spring/Summer collection 2015 collection. I know I've mentioned it before but the Burberry catwalk show is something that I always look forward to seeing each season. I just loved the colours used, the fabrics, textures and cuts. I also fell in love with the brightly coloured catwalk and typography used for this seasons collection. Check out the full collection in pictures here or you can also watch the whole show over on the Burberry YouTube.